WHAT IS THE ACTION TRACKCHAIR? 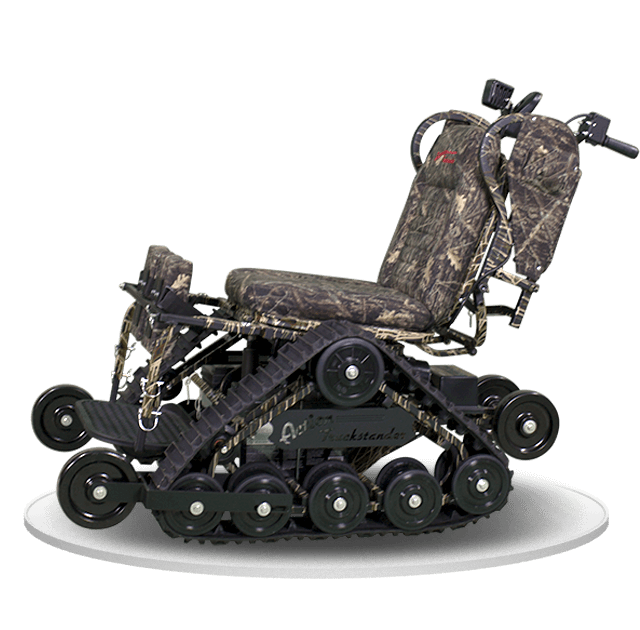 The Action Trackchair is a tracked wheelchair patented for its design and functionality, with features unmatched on any other tracked or all-terrain wheelchair. It features an electric tilt mechanism that allows the user to easily stay level in their Trackchair while traversing hills and uneven terrain. WHAT MAKES ACTION CHAIRS DIFFERENT? Click and hold the slide. Move your mouse to spin the Trackstander to see it from every angle. 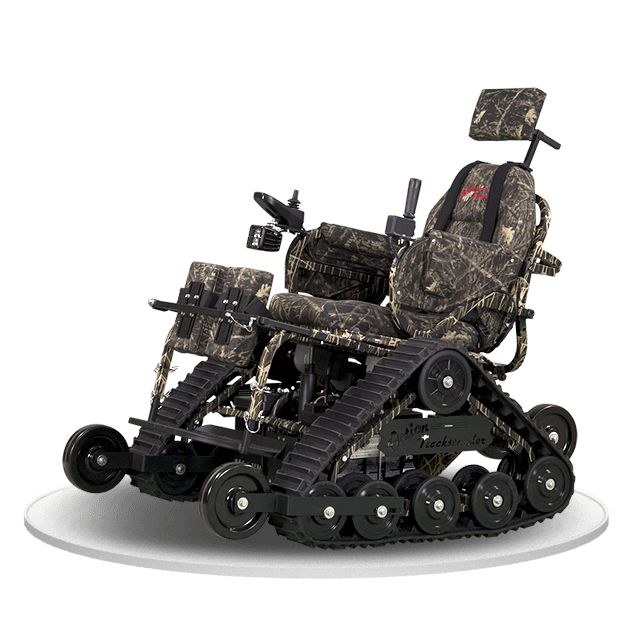 Located in Marshall, Minnesta, Action Manufacturing has been producing extremely capable off-road wheelchairs since 2008. Over the last decade, thousands of Action Trackchairs and Trackstanders have been built and sold throughout the globe. These chairs have changed the lives of thousands of people and continue to serve them in their daily lives. 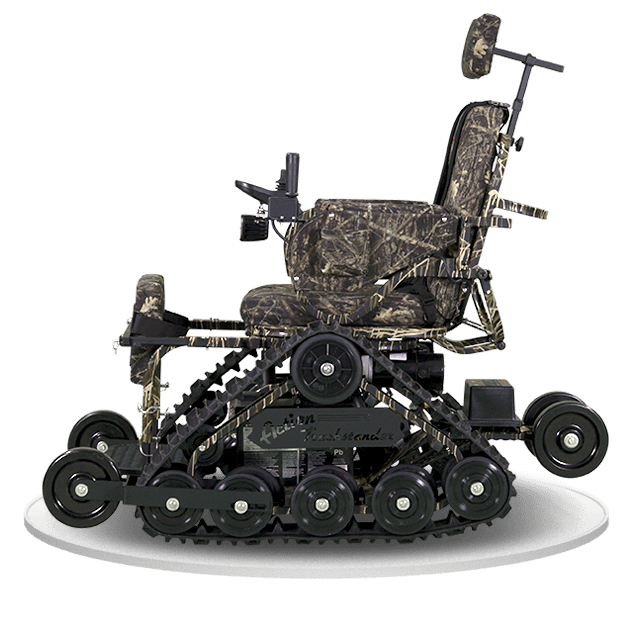 Give our distributorship a call today to schedule a demo and see why Action Trackchair is #1 in All Terrain Power Chairs!